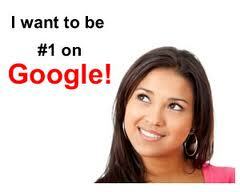 NASHVILLE, TENNESSEE – We all desire to reach that coveted top spot on Google search results. It’s no easy task, but it can be accomplished. Being in the top three is almost as important as being first, as most people are likely to check out the top three results before choosing the most desirable. Here we want to provide a general overview of how to get to the top three spot on Google for a specific keyword. All of these steps will need time and attention to realistically get your business to the top of Google. There’s a lot that goes into search engine optimization, and it’ll take time to learn all the aspects of the game. Visit SEO blogs or spend time perusing articles here on our Millionairium blog. Familiarize yourself with SEO lingo so your research makes sense. You might be interested in speaking with an SEO consultant to outline optimization strategies. Millionairium offers SEO consultation, and other companies offer similar services as well. Assigning one person the roll of SEO expert may help your team reach the top quicker. Give your SEO expert time to research ways to get your business to the top. There is simply too much involved in SEO to let your assistant spend 20 minutes a day on SEO. Once your chosen SEO expert has done preliminary research, he or she may assign certain segments of SEO to other employees. Delegate certain people to write blog posts, connect on social media, build inbound links, monitor Google Analytics, and conduct keyword research. Look at your HTML to see where your site could be optimized. SEOmoz has a helpful rundown of perfectly optimized pages that will acquaint you to the process. Learn what page descriptions and headings are best for your site’s optimization. Use the text-based browser Lynx to see how your site appears to Googlebots. Googlebots can’t read Java or images, so you want to make sure your efforts aren’t wasted because of something this simple. You probably know enough about SEO to gather that links matter. Trustworthy inbound links will improve your Google search ranking. Our SEO expert team has put together an exhaustive list of directories, both free and paid, where you can submit your site. We’ve also gathered the best article and press release submission sites that you can use to your benefit. Beware of link farms. Instead, look for good, quality links that readers will trust. If your site is trustworthy to readers, then Google will reward it as well. Search Engine Watch shares a helpful article with 131 link-building tactics. Here’s one of many tips. One whole section of Joyce’s article is dedicated to content creation. In that vein, let’s move on to blogging. We’ve talked so many times about the importance of blogging for SEO. New content published freshens your website, and Google’s search algorithms include a freshness factor. Creating new content can be hard, especially if you aren’t used to writing. Don’t panic. Study the trends in your industry and stick to what you know. If you need help brainstorming ideas for new content, browse through our list of common types of blog posts. Set up a blog schedule and stick to it. Determine how many posts you can commit to each month, and stick to your goals. Keep your audience and focus in mind; don’t write about things that aren’t related to your business. Now that you’ve optimized your on-page content, started blogging and got some quality inbound links, share your content across social media platforms. Learn some basic tips for Twitter to help increase your SEO reach. Remember that Google+ is important since Google search results now include personal results. Make sure your SEO expert or SEO team is setting goals and executing specific tasks. Learning Google Analytics will help you measure the fruits of your SEO efforts. Getting a top spot on Google takes time. Be wary of companies that promise results in a short amount of time. You won’t get to the top of Google in 24 hours. Don’t expect to be an SEO wiz overnight either, and don’t expect unrealistic results. Put an SEO plan in place, execute each step thoroughly, and then watch your analytics closely. Of course, don’t sit back waiting and do nothing. Keep reading about SEO, follow relevant blogs, make new contacts, and write new blog posts. We’ll be here with more tips along the way. Feel free to let us know how your SEO journey progresses. Awesome informations. thanks for share it. I experienced the adverse effects of optimization results. ranking is not good as I can, but on the contrary. optimization blog that has been even more distant from the search results. Thanks Jessica your content is truly helpful for SEO people, it\’s a informative article. Thanks a lot keep blogging like this. I love to visit this site, because so many of the best advice we could get, we\’ll never get on another site, very useful information. Thank you.